Police and trading standards have seized hundreds of counterfeit cigarettes and packets of tobacco following a raid on two homes on Gateshead’s Springwell Estate. The raids were part of a crackdown on so-called “tab houses” – properties from which residents are known to sell cut-price smuggled or fake cigarettes. The haul included 1,200 Jin Ling cigarettes, made specifically for the illegal market, and 141 packets of Turner branded hand-rolling tobacco, which may have been manufactured legally but only for distribution abroad. Councillor Peter Mole, the council’s cabinet member for safer stronger communities, said: “This raid puts down a definite marker showing those who operate illegal ‘tab houses’ that it will not be tolerated and is an excellent example of partnership working between our trading standards officers, Northumbria Police and the community. “The sale of illegal cigarettes is a problem that goes well beyond the billions of pounds lost to the public purse through unpaid duty. ‘Tab houses’ often sell their illegal cigarettes to children, exposing them to all the well-documented health risks associated with smoking. 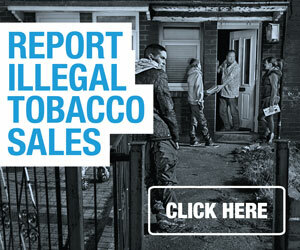 “People have often viewed these illegal tobacco suppliers in a favourable light but the reality is their activities – particularly when suppliers are in close proximity to schools – get young people hooked on smoking, sell products with no information about their content and create a knock on effect of criminal activity in the wider area. Bill Fullen, chief of The Gateshead Housing Company, which owns one of the raided homes, said: “Anyone selling tobacco from their homes is in breach of their tenancy agreement and risks eviction. 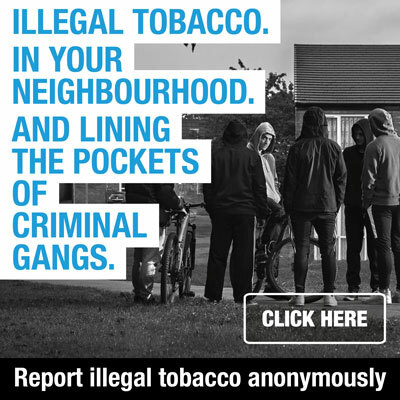 Ailsa Rutter, director of Fresh Smoke Free North East, which campaigns for a smoke-free future, said: “Many of the people who sell illegal tobacco have no morals or scruples about selling to children, creating new generations of smokers who will become addicted from their teens.